So, something you may or may not know about me, God speaks to me. Weird … I know. Many people think God stopped speaking in Bible times, but He didn’t. Sometimes His voice is audible, sometimes His voice is a thought in my mind. He speaks to me through the Scriptures, the words of others, and through the physical world around me. Occasionally, the conversation takes place out of the blue, but most of the time He speaks when I am seeking Him. If you’re curious about our conversations, I’ve written a bit about them here. Sometimes I’ve wondered, who am I that God would talk to me? Yet, His communication confirms His love for me. I wasn’t designed to independently, go it on my own. I was designed to be in regular conversations with Him. God speaks to me because I seek Him. And the seeking is an active thing, as the word implies. There is no real secret to hearing God’s voice, and there are tools to help. In my own Spiritual life, I have practiced visio divina (sacred seeing), and lectio divina (sacred reading) too. Click either link to read about my experience. 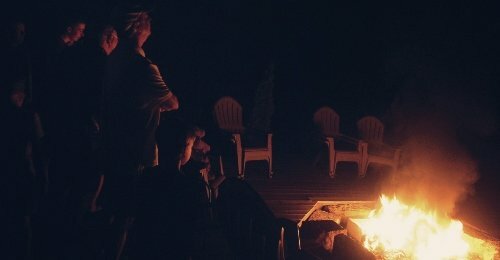 I’ve had a lot of people ask me about these practices, so this summer I’m gathering a group to practice listening to God. We’ll meet in north Orange County on Thursdays from 7 – 9pm. If you are in the area, and you’d like to join us email me and I’ll send you the address. If you aren’t in the area, but you are still interested, email me and I’ll share my resources with you. You can gather your own group! I cannot encourage you strongly enough to give this a try … God loves spending time with you; there are things He’d like to say. He is just waiting for you to be quiet. These summer gatherings are the perfect opportunity to get the conversation started. Check my Facebook Events page for more information. Great, Janie. Email me for more information.